Sid wasn't having a good day, was he? 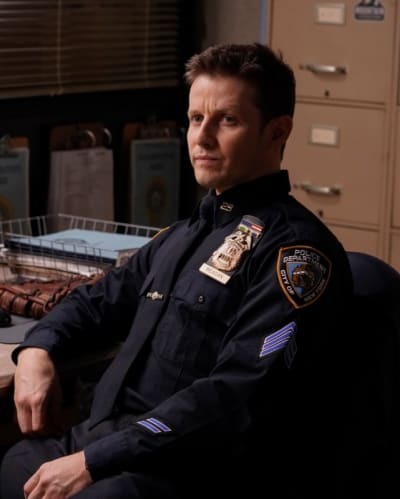 On Blue Bloods Season 9 Episode 18, he not only fought a losing battle with Frank and Garett to allow out-of-shape cops to keep serving but also had to admit he didn't do a great job with a cold case. It's a good thing Danny seems to have found his softer side because Sid needed some cheering up! I could see Sid's point about fitness exams. A strict fitness requirement might leave cops who were overweight but otherwise able to perform their duties stuck on desk duty. Sid: This is a bad idea. Frank: It's not a bad idea or a good idea. It's an idea whose time has come. And it arrived on a rooftop the other day, gasping for air and sweating bullets. 50 pounds overweight and wearing one of our uniforms. But everyone else had a better point. Leary, the cop who started all this, wasn't merely overweight. He got winded running up a short flight of steps and put his partner's life in danger. 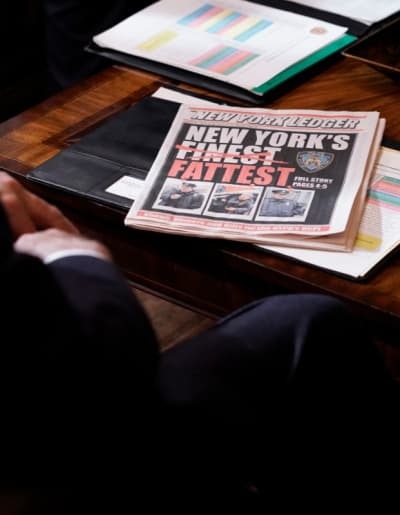 It seemed like a no brainer for Frank to require that cops be able to run after suspects, including in stairwells, but one of the things Blue Bloods does best is demonstrating that nothing is ever that simple. Frank ended up having to juggle so many balls in the air to try to find a solution to this. He had to keep the leader of the police union happy or risk a strike or other protest, ensure that cops were safe while doing their jobs, and try to keep Sid and Garrett from killing each other. Sid was so adamant that fitness requirements were a bad idea that I wondered if his cold case ended up on Danny's desk on purpose. 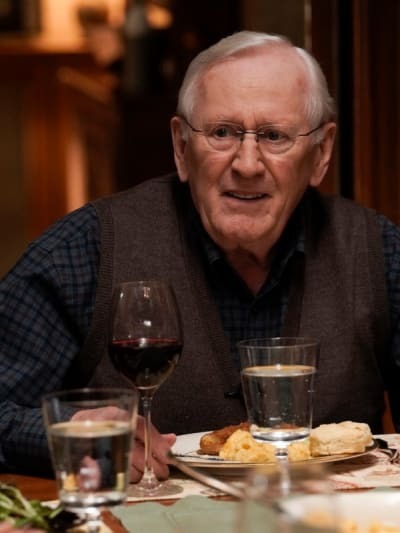 Related: Blue Bloods' Frank Reagan: Grumpy Curmudgeon or Man of Principle? After all, working with Danny got Sid out of the way so that Frank could find a solution to the fitness problem! After working with Danny for so many years, Sid should have known that telling him to drop the case was just going to get him to try twice as hard to close it. This time around, Baez had to convince Danny not to listen to Sid, but still. Nevertheless, I loved Sid's heartfelt apology to Danny and his admission that he was embarrassed about his subpar treatment of the case in the first place. And Danny letting Sid solve the case on the second go-around finally brought a smile to Sid's face, even if he knew all along that it was Danny's doing! Danny was also a lot softer with Eddie than I've ever seen him with... well, anybody. Maybe he is finally beginning to absorb his loss of Linda. If she were here, she would have been encouraging him to be supportive of his brother's fiancee and to be nice to Sid, and that's exactly what he did. I have to say; this was one of Jamie and Eddie's sillier conflicts. I understand Jamie's fear of corrupt leagues of cops, but assuming a group that does nothing but play sports is looking to take advantage of Eddie was ridiculous! You guys all belong to fraternal organizations, so why can't I? Is it because I'm a woman? Permalink: You guys all belong to fraternal organizations, so why can't I? Is it because I'm a woman? I agreed with Eddie that Jamie's behavior came off as sexist and controlling. It also came off like the Reagans are so special that everyone is out to get them and that Witten couldn't possibly have invited Eddie to play because she liked her or because Eddie has some softball skills. That wasn't a good look for Jamie at all, and I don't like it when Jamie looks bad. He's my favorite Reagan, and he got cheated out of air time throughout Blue Bloods Season 8. So can he have decent storylines and not this nonsense now that he's back on the front burner, please? I was also annoyed that Eddie went along with Jamie's demand after she took such a strong stand against it. Yes, sometimes it's easier to give in. Pick your battles and all that. But Jamie was so ridiculous that I didn't think Eddie should give his opinion any credence at all. I knew from the second Anthony started obsessing over Sam that he was going to end up fostering him. I felt like I missed something because Erin was so opposed to the idea. As long as Sam was no longer part of a case, there was no conflict of interest, and Anthony both cared about the kid and had a good rapport with him. Anthony will probably make a great foster parent as long as he can manage not to get overinvolved with the kid's daily life. Having to work with Erin should help prevent that from happening, as he will have to spend a significant amount of time at work. I'm glad Anthony is taking in Sam. Sam's latest foster mother seemed to view him as little more than free help carrying her groceries in, and Sam deserved better than that. Plus, it's a terrific setup for drama should Sam's biological mother get out of prison and want to reclaim the son she wasn't able to raise. 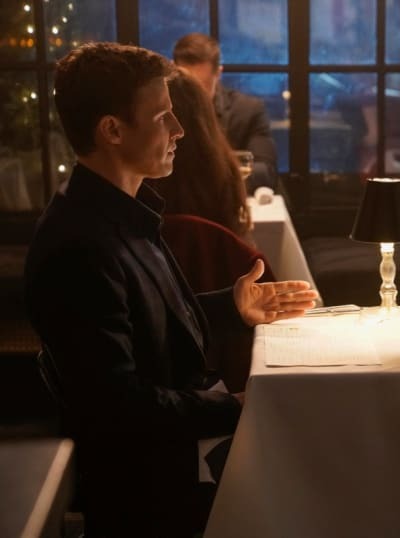 So what did you think, Blue Bloods fanatics? Was Jamie out of line or was this a reasonable demand he made of Eddie? Was Frank right about needing to up the fitness standards for safety reasons? And did you like seeing Danny's softer side? 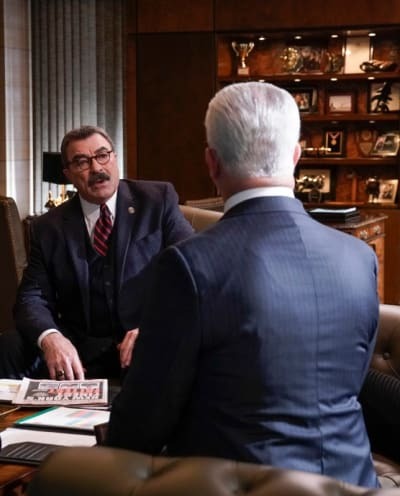 Watch Blue Bloods online and then tell us what you think! 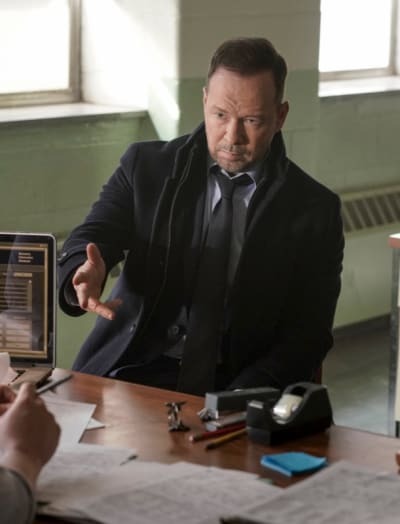 Blue Bloods continues to air Fridays at 10 EST/PST on CBS. Abigail: A cop that can't go up a few flights of stairs isn't exactly safe. Sid: That was like a dozen flights. The foster mother's DNA on the foster child? That's solid evidence? Permalink: The foster mother's DNA on the foster child? That's solid evidence?